Just a reminder, I contributed to a couple of art books that are currently on Kickstarter right now. Draw ‘Em With the Pointy End, a Game of Thrones art book, and Ladies of Literature Volume 2. Do check them out! 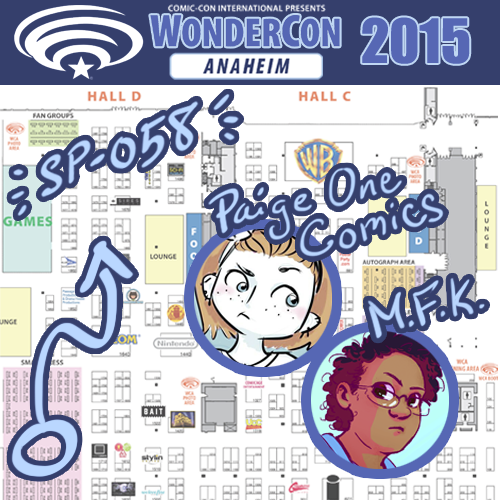 This weekend I’ll be at WonderCon with Paige One Comics, table SP-058 in the Small Press area. 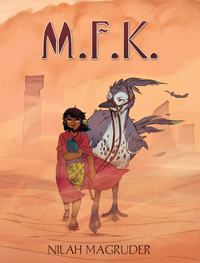 I’ll have print copies of M.F.K. 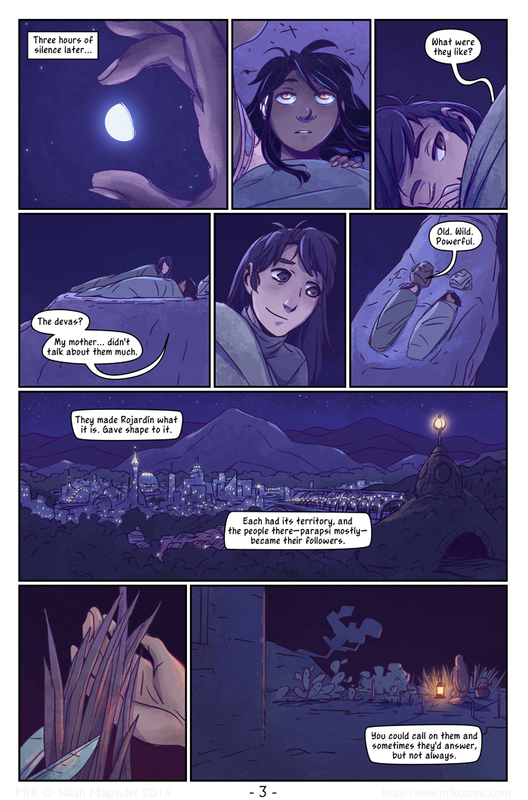 chapters one and two – this year’s my last printing for both, so if you want copies, be sure to stop by! I’ll also have prints, bookmarks, and other goodies. Hope to see you there! And because it’s been requested, I plan to make chapters one and two available for purchase online. Copies will be limited though. Once they become available, I’ll post here first, so keep an eye out!